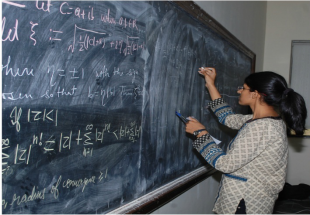 The Mathematics Department of the college is one of the oldest department of the college, established by the founder principal Ms. Veda Thakurdas; who was one of the few woman to obtain a Master's degree in Mathematics from Punjab University in 1930. The Department has made a name for itself for its academic excellence. 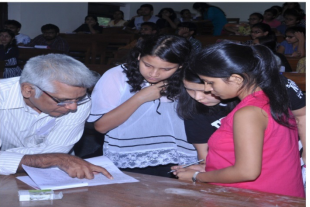 Students are selected in accordance with the university admission criteria. The department has a sanctioned strength of 70 students and it comprises of the students of higher academic standards. The department has had an illustrious faculty since its origination and we are proud that the custom still continues. The department comprises of students from various socio-economic backgrounds and about 70% students come from outside Delhi. It is therefore, difficult for some students to adjust to the new college environment. Thus, a guide is needed to counsel them. The Department assigns each student a mentor, who helps them to deal with the problems they face. Students are at ease in discussing with their respective mentors any problem they are struggling with, be it academic or life-centric. The mentors try their best to help their respective mentee to cope up with their problems by giving those suggestions to handle their difficulties. Tutorial classes are scheduled for every subject so that students can discuss their problems related to the subject with the teacher. Each class is divided into small tutorial groups so that the problems of the students are approached with efficiency. 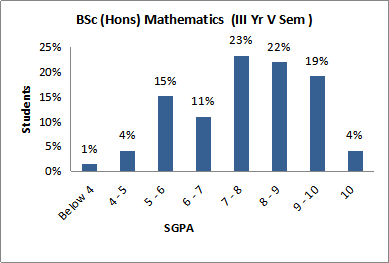 The Department of Mathematics has always been devoted to the students and their drive to fulfill their dreams in life. For the accomplishment of these goals, the department tries to put its best foot forward to make the students realize their dreams. 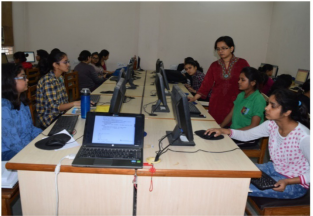 The faculty is dynamic in adapting the new emerging teaching methods; such as introduction to various software MATLAB, MATHEMATICA, Latex, etc. in order to give the students better clarity of abstract concepts of the subject. The department regularly organizes activities like talks, seminars and workshops to give the students exposure to the new research areas being explored throughout the world. 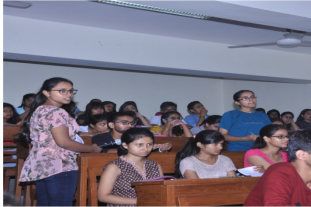 Students of Mathematics from Miranda House are pursuing higher studies and research in prestigious Indian and International Institutions like Delhi University, IIT, IIM, London School of Economics etc. and are excelling in other reputed fields. To mention a few: Kritika Jyotsana is in IndianAdministrative Services (IAS); Nivedita Bhattacharjee is an Assistant Commissioner, IRS; Dr. AparnaMehra is an Associate Professor at IIT Delhi; Aanchal Aggarwal is a Research Staff Member at IBM,University of Houston, Texas; Iti Mittal is an account manager at Google, New York; MadhulikaSaxena is at Prudential PLC and Anamika Pundir is at SSCW NT(JAG). Every year 2-3 students clear NET/ GATE examination. Special Mention: Mahenoor Ali is the first ever visually challenged (95%) student admitted in B.Sc. 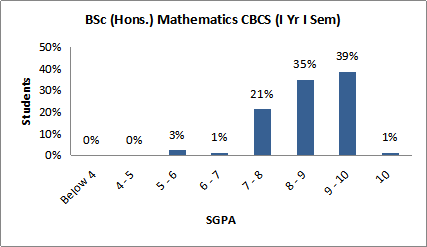 (H) Mathematics in the year 2013. She is an exceptionally bright student who received Buti Foundation Award in 2014-15 and 2015-16.She also cleared IIT JAM-2016 with All India Rank 504. To add another ground, she had been shortlisted for the interview for integrated Ph.D. at IISc. Bengaluru, IISER Mohali and IISER Bhopal. She is currently pursuing her M.Sc. 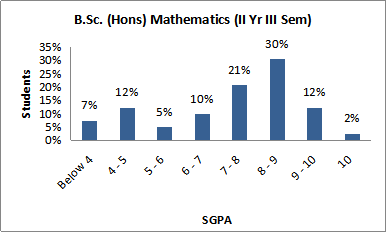 in Mathematics from Indian Institute of Technology (IIT), Delhi.